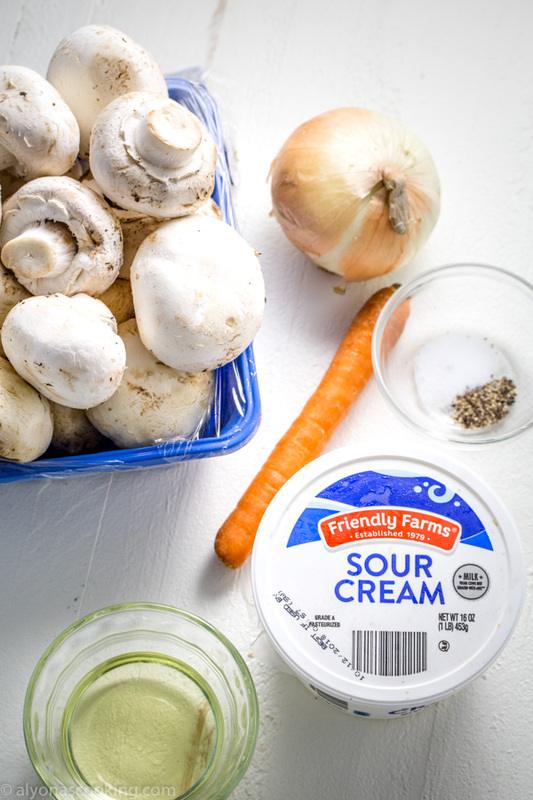 It may be ironic to think that sour cream and mushrooms go, but they actually DO! 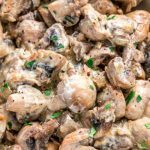 I originally tried these creamy sauteed mushrooms at my aunt’s house some years back and are they so flavorful! 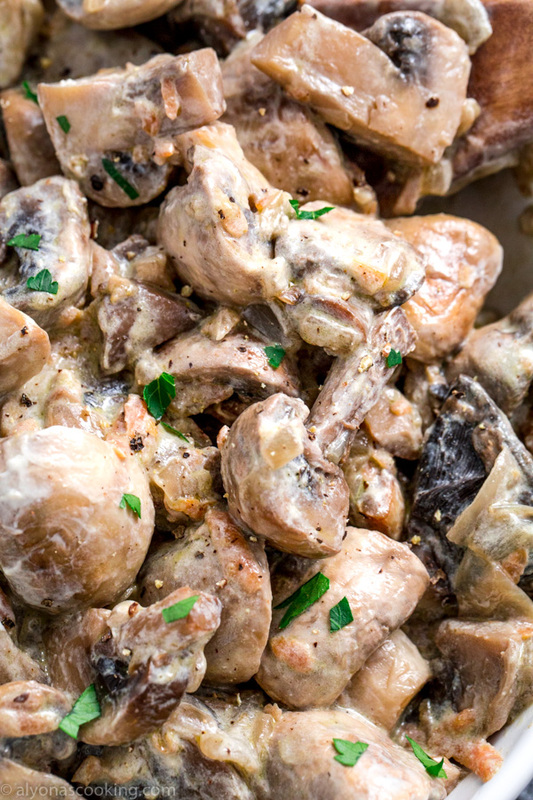 Just a handful of ingredients and one pan can make such a tasty side! 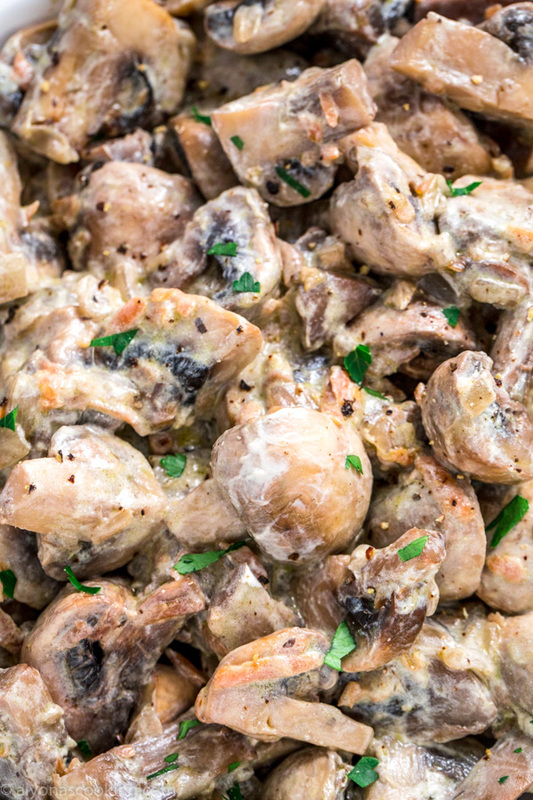 What can you serve Creamy Sauteed Mushrooms with? 1. Heat a large skillet to medium-hi heat. Pour the oil into the pan and add the mushrooms, carrots and onion. Sautee for 15-17 minutes until juices evaporated and mushrooms become nicely brown. 2. Remove skillet from the heat and add salt, pepper and sour cream then toss everything together. 3. Serve immediately or cold. Can you saute the onions, mushrooms and carrots together? YES! 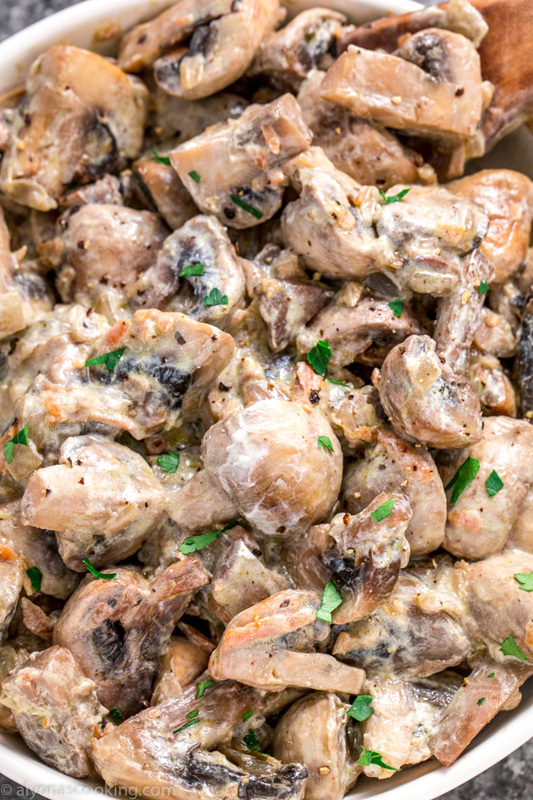 I find the juices evaporate from the mushrooms anyway and allows the other veggies to saute too. However Sauteing without the cover is important to let the vapor escape. So sauteing the onions, mushrooms and carrots separately is really unnecessary, they can all go in at one time and still get cooked down with tender results! Heat a large skillet to medium-hi heat. Pour the oil into the pan and add the mushrooms, carrots and onion. Sautee for 15-17 minutes until juices evaporated and mushrooms become nicely brown. Remove skillet from the heat and add salt, pepper and sour cream then toss everything together.